Join us Friday, April 5th for an evening with Papapietro Perry wines paired with the culinary magic of The Bay View Restaurant & Lounge at Inn at the Tides in beautiful Bodega Bay. Ben & Yolanda Papapietro along with Bruce & Renae Perry will be on hand to take you through the inner workings of their Sonoma County winery. Dinner will include 4 amazing Papapietro Perry wines paired with 4 culinary creations prepared with locally grown foods. No-Host Reception: 6:30 pm / Dinner: 7:00 pm. $119 plus tax and gratuity. 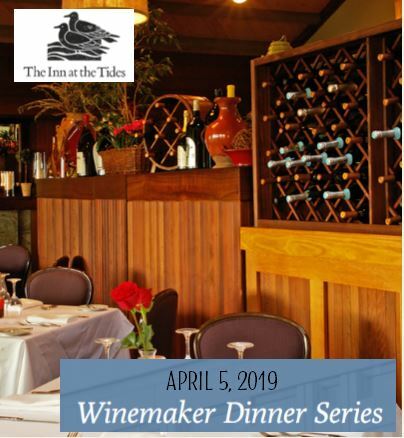 For Winemaker Dinner and/or room reservations please call 707.875.2751 or Email: Chris@innatthetides.com.